Happy Friday all, and a holiday weekend at that! 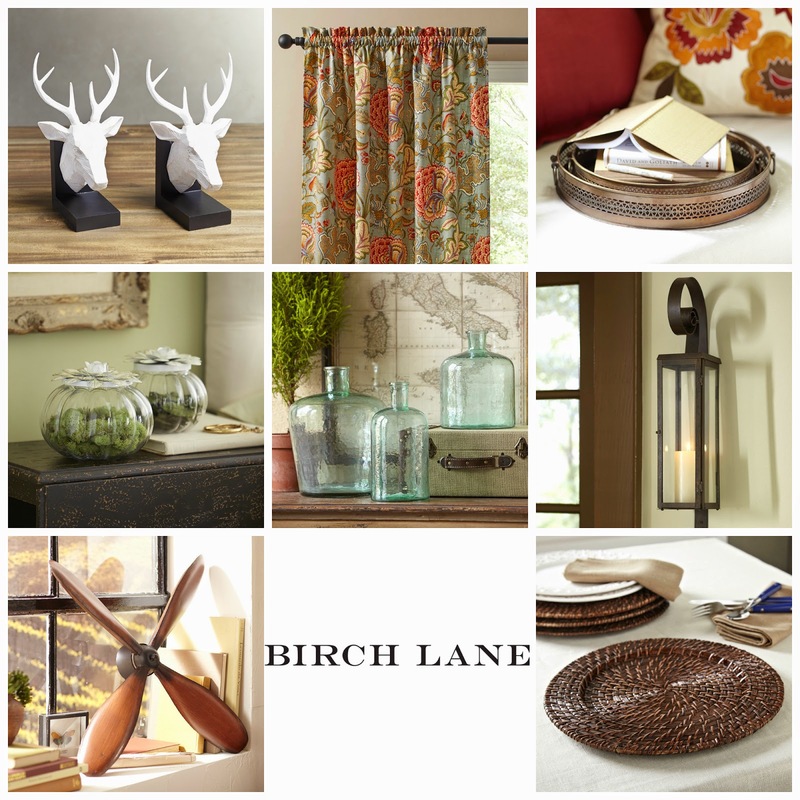 Today I'm sharing a new source for furniture and home décor called Birch Lane. A few months ago, there was quite a buzz about the launch of a new Pottery Barnesque company offering casual yet classic furnishing and home décor at fairly reasonable prices. I picked up on the buzz and immediately followed them on social media. I also requested a catalog and it arrived this week. I have to say, I was pretty impressed. According to their website, Birch Lane is, "a fresh destination for classic design, Birch Lane offers quality furniture and inspired décor for every room. From traditionally styled beds and headboards to dining sets, media storage, coffee tables and more, these selections are made to layer with your own collected finds for a look you'll love year after year. From the looks of it, the core of the offerings really is the furniture, but I was immediately drawn to the accessories. As a budget decorator, I look to accessories and the details added to the design to really make an impact, so having reasonably priced options, like this $29 ikat pillow cover, is key. Here are a few of my other favorites. I'm considering these super cute monogrammed jar drinking glasses. What can I say, I'm a sucker for a monogram. Be sure to check them out online at www.birchlane.com, and if you do social media, hook up with them there too! Hi Jennifer! I haven't purchased a sofa. Perhaps check on the site for product reviews or contact customer service. Good luck!